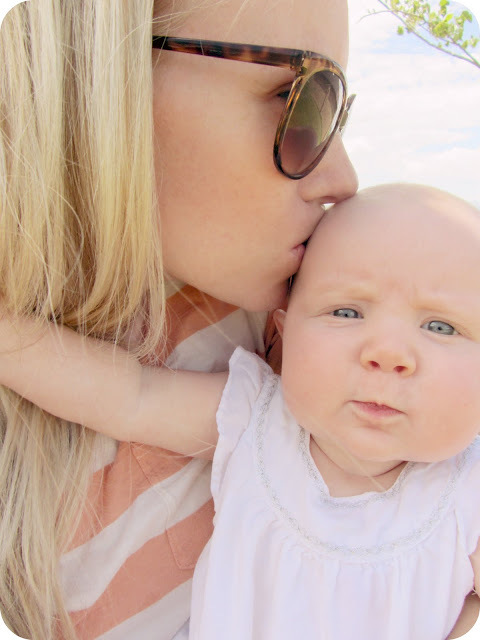 hart + sew | Vintage Baby Clothing: CHEEKS! I just can't stop kissing her sweet baby cheeks (the ones on her face). She is so sweet...I can see why you want to give her sugar all the time! Gosh, I've got baby fever so bad! oh man, those cheeks! she is a doll. luckily i have a dolly to munch on now too! Tooooooooo cute! I know the feeling!